Operators can learn from the chains jumping up the Top 500 ranks, as well as those that slipped down. With the exception of Smallcakes (No. 416), most such chains aren’t big enough to crack the Top 500 yet, but Technomic President Darren Tristano predicts that concepts with a singular focus (ice cream sandwich shops, for example) are on a trajectory for growth. And eventually they will take the lead from specialty categories, like barbecue or Mediterranean, though there’s room in the industry for both. While singularly focused concepts are succeeding, dening a brand by one menu item might hurt it. One example: Starting with the name itself, Saladworks committed to being a chain all about leafy greens. Compare that to rising star Sweetgreen, says Tristano. While salad also is at the core of its menus, the focus is more on quality and impacting the supply chain, he says, leaving it room to move beyond salad. 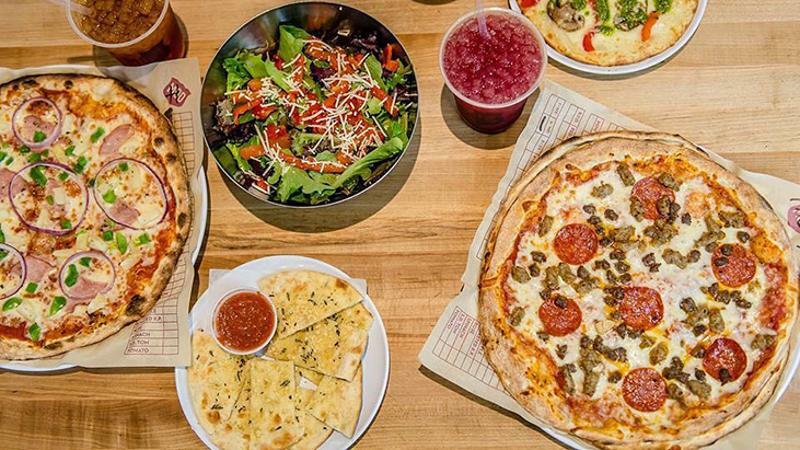 Localized concepts, such as Mooyah, that move outside of their core area are likely to suffer, says Tristano. Contrast that with In-N-Out Burger and The Habit Burger, both of which have created strong brands by staying relatively local. The lesson, Tristano says, is to understand where the ample opportunity is within a region. But for those that do want to expand beyond home base, he says it’s important to adapt. Smashburger has seen success by creating menu items and incorporating craft beers that differ by location. “Adapting locally [is key] because the customer is different and the competitors are different,” he says. Healthy, better-for-you menu items clearly matter to consumers, but sourcing remains a challenge for operators. Those already succeeding with sourcing changes tend to be smaller, regional players, further down in the ranking. But for the big national concepts, it’s going to take years for suppliers to catch up, says Tristano. That’s proven true; it’s a multiyear project for Chick-fil-A to swap in antibiotic-free chicken. “The opportunity [lies] more with clean foods and reduced preservatives—a move toward fresh without impacting food safety,” he says.